SURVIVAL SCHOOL IS ALL ABOUT YOU – NOT US! 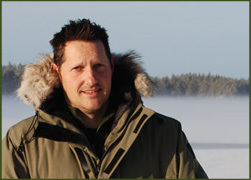 Survival School was set up in 1997 by Jonny Crockett, to demonstrate survival skills and to provide opportunities to learn and practice those skills. For the five years before that, Jonny had been teaching at schools, to cadets and working with the military. Things have changed since those small beginnings and well over 30,000 people have attended courses with our instructors, who have decade upon decade of bushcraft and survival teaching experience between them with knowledge from the Arctic to the jungle and many environments in between. Add to that the groups who attended presentations and lectures and who knows how many people have been involved with our schools. Including the thousands of customers at our shop it makes Survival School a market leader! All our instructors are 1st Aid Trained in Remote Emergency Care / Mountain & Outdoor First Aid, have been DBS (formerly Criminal Records Bureau) checked, are Food Safety and Hygiene Certified to Level 2 and hold the Level 4 Bushcraft, Survival and Wilderness Living Skills Award. Our instructors are in such demand that their services are requested by other organisations and schools in the UK. Praise indeed for Survival School and the quality of its instructors! Survival School wants you to have fun learning what few people in the 21st Century will learn. Anything is possible with the right blend of knowledge, skill and experience. The missing ingredients for our courses are you and your enthusiasm. The best way to learn is for you to get a hands on experience. That’s guaranteed at Survival School! The subject of survival has many levels and Survival School aims to initiate beginners and encourage them to continue to broaden their knowledge. The instructors have varied backgrounds, but they all have the same goals.